Procter & Gamble (NYSE:PG) shares jumped on Friday, surging more than 8.5% after the company beat on earnings and revenue expectations. 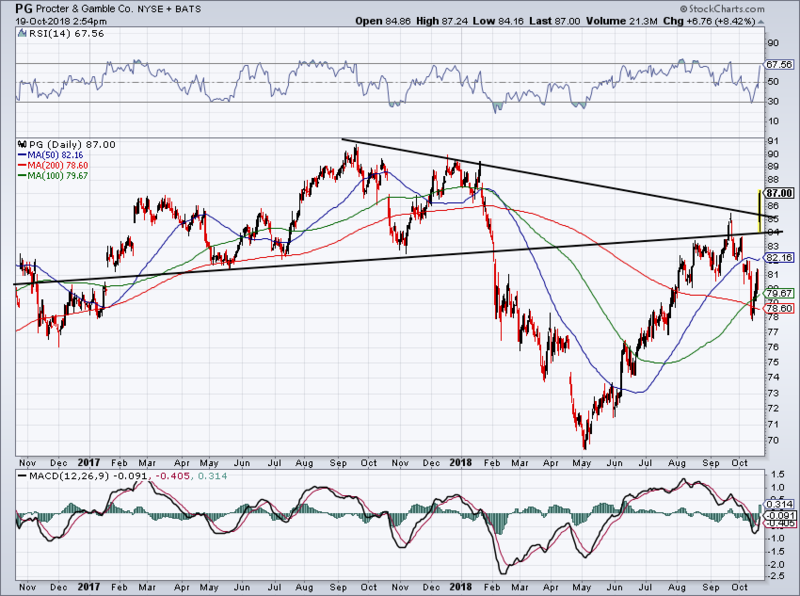 The move allowed PG stock to burst over two prior trend-lines — one downtrend and one uptrend. Now over all three major moving averages, P&G looks good on the long side. If we can get a pullback in the broader market next week, let’s see if we can get PG a little cheaper, say somewhere between $84 to $85. That will be an attractive risk-reward. After a colorful conference call to say the least, Cleveland Cliffs (NYSE:CLF) is down about 5.5% Friday. 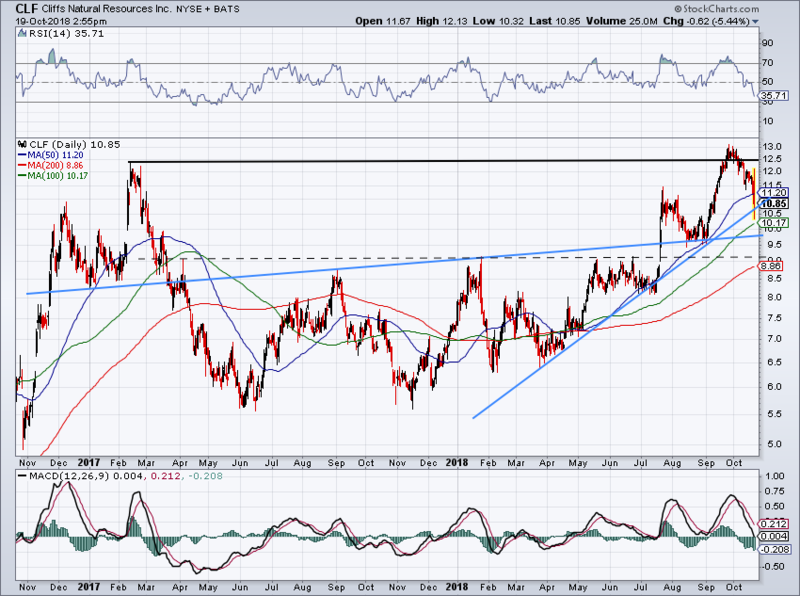 Finding resistance near $12.50 to $13 isn’t much surprise and really as long as CLF stays over uptrend support, investors can stay long. Back over the 50-day would make me feel better, but really so long as it’s above $10, it’s okay. Below that and a $9 stock price is in the cards for CLF stock holders. The price action in video game stocks has been uninspiring to say the least. That’s highlighted by the recent moves in Activision Blizzard (NASDAQ:ATVI), as well as Electronic Arts (NASDAQ:EA). The company broke below 18-month support at $105 after hitting $150 just a few months ago. 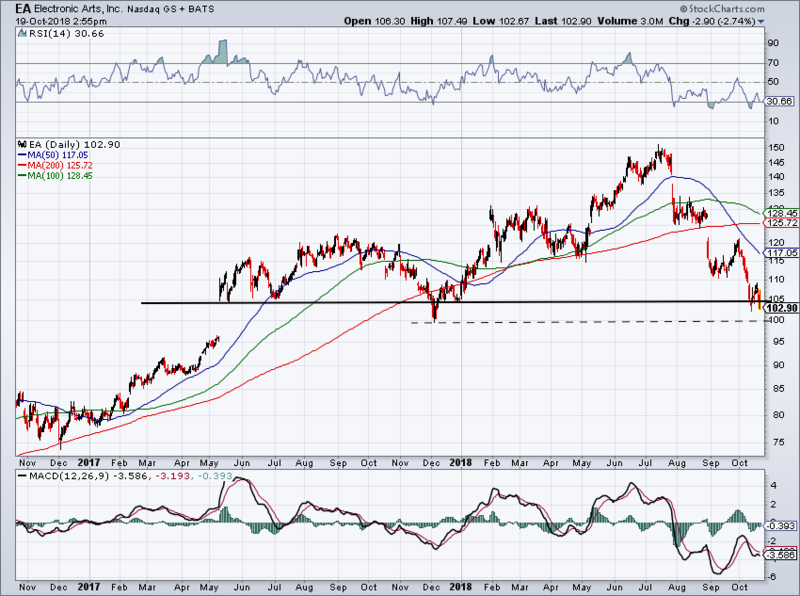 The one-year low near $100 may give EA a bounce, but below that and a gap-fill down to $96 is in the cards. Bears can go short w/ a stop on a close above $105. Bulls should wait for a close above $105 before going long again. 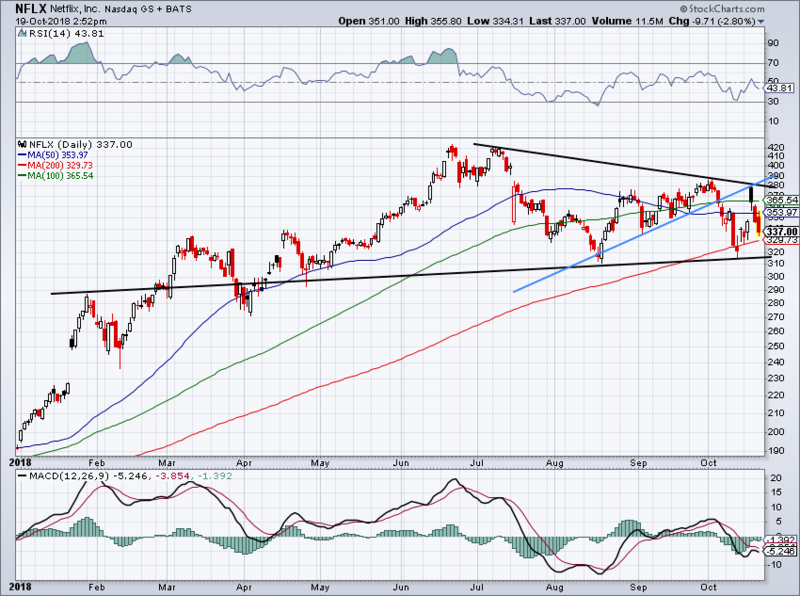 Netflix (NASDAQ:NFLX) surged on earnings earlier this week, but has since given up all of its gains and a bit more. The stock jumped to the backside of prior uptrend support (blue line) and was promptly rejected from this mark. In fact, while everyone was rejoicing the move, we were quite skeptical on NFLX following Wednesday’s action. The stock is now coming back down toward the 200-day and possible support near $320. There should be decent support in this $310 to $320 level too. For 2018, the 50% Fibonacci retracement level sits near $310, while the 61.8% retracement from the January gap-up sits near $315. Below these marks, and NFLX is heading for no man’s land. Article printed from InvestorPlace Media, https://investorplace.com/2018/10/4-top-stock-trades-for-monday-pg-clf-nflx-ea/.